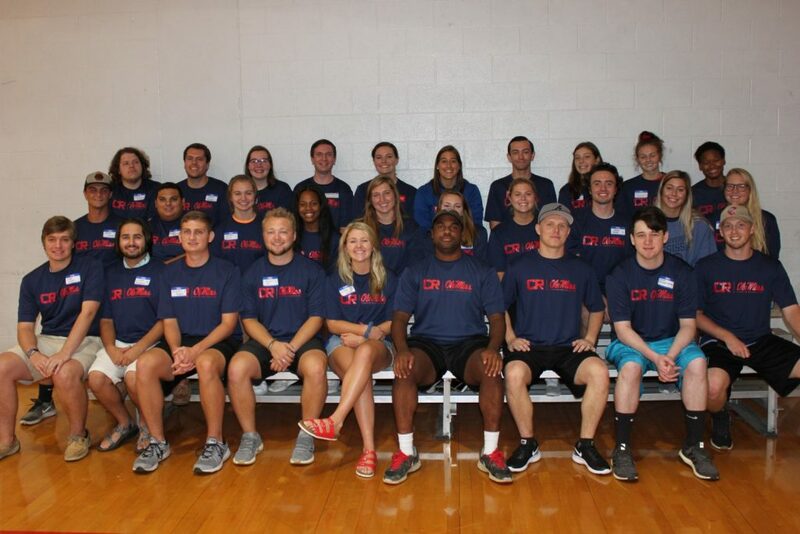 The Intramural Sports Program at Ole Miss is one component of the Department of Campus Recreation. The program is very structured and offers individual, dual and team sports for male and female participation. Participation is not required, and an individual does not have to be highly skilled to participate. Intramural activities range from traditional sports such as flag football, basketball, soccer and slow-pitch softball to nontraditional sports such as spikeball, battleship, or 3-on-3 basketball. Some activities are scheduled over an extended period (5 to 6 weeks) while others take place during one or two afternoons/evenings. Most teams play once a week, and contests are scheduled during the late afternoon and evening hours. We hope you will get involved in the Intramural Sports program. It’s a great opportunity to compete with your friends and meet other students, faculty and staff. If you have any questions, please contact the Intramural Sports Office at 662-915-5573 or e-mail imsc@olemiss.edu. For a complete list of sports offered or to register a team visit IMLeagues. If you have not yet registered with IMLeagues and need assistance,click here for a step-by-step guide.